I was simply blown away. That was how I felt about my recent stay at MARCO POLO MANILA. As a foodie, I realized that the hotel has some of the best restaurants to dine in when in Ortigas. No need to brave the traffic. Rather, everything that you want is just a stone throw away. 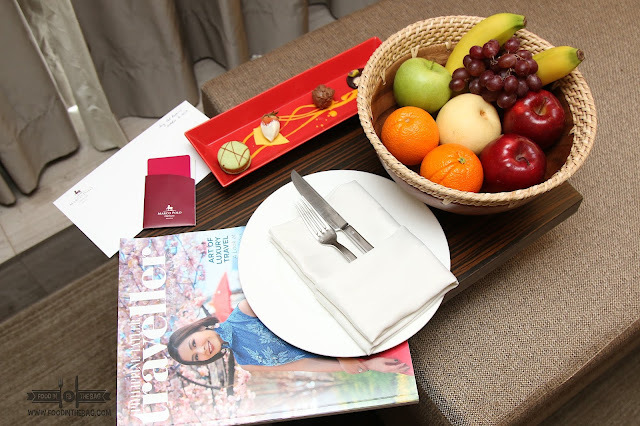 Plus, the stay and the culture of caring in this Forbes Travel Guide Five Star Rated Hotel, is present in every gesture and evident with how they treat their guests. 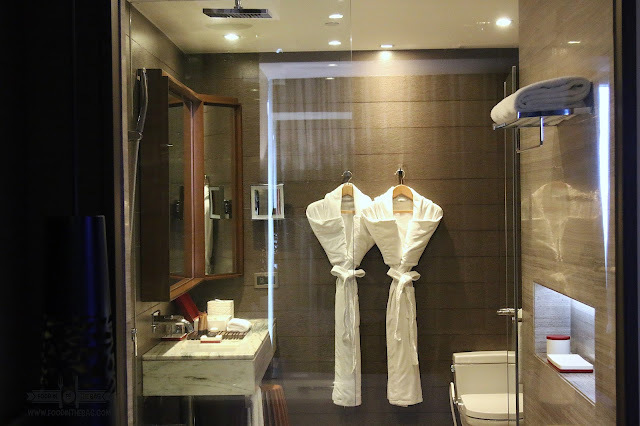 As I have written an In-Depth Staycation Guide for Marco Polo Manila (which you can check out here), this article would basically touch base and update some of the useful information that I have recently learned and experienced first hand. 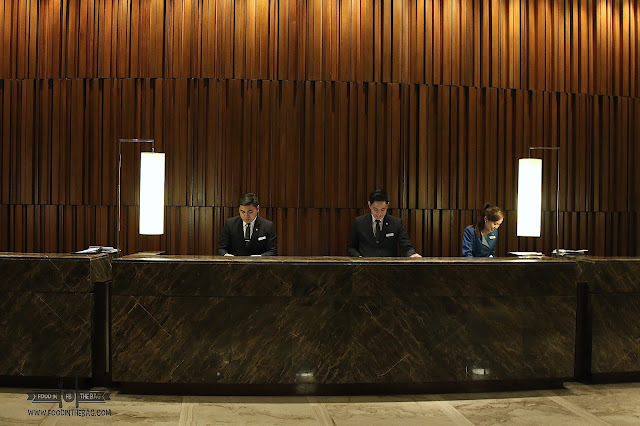 The check-in is fast and efficient at the 24th floor lobby. Here, guests are greeted with cold drinks upon check-in which is usually at 2pm. For this particular stay, I was billeted at a deluxe room with a king size bed. The difference between the superior and the deluxe would be the location of the room. The deluxe is situated at the quieter side facing Ortigas while the Superior is facing the Antipolo side. Also it would be wise to take note of the room categories based on the type of bed the room has. 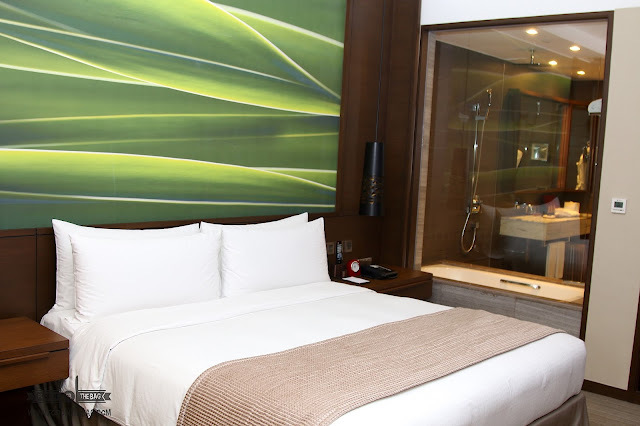 For a room with a sing king bed, the washroom usually has a see through window for you to watch the television while using the tub. Don't worry as they installed speakers there too. In contrast, rooms that are clearly marked for sharing with friends do not have this glass window amenity. It's actually the perfect perk for honeymooners. Tech lovers would be glad to note that the telephone acts as an alarm, a charger, and even a music station. If in case you forgot your wires, the phone has different sockets for different devices. Furthermore, there's a hidden panel that acts as a way for you to charge more gadgets and even connect other media to the flat screen tv. 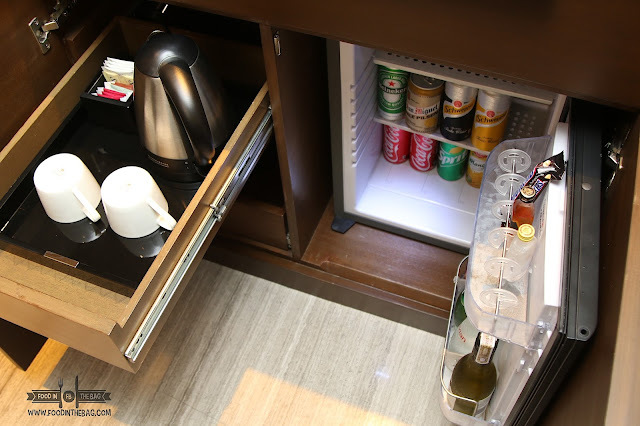 For the mini bar, Marco Polo Manila made sure that your needs are met. Different alcohol and non-alcoholic beverages are present. Tea and coffee pods are available for you to enjoy. If there was one place that I love more than the bed, it would be the wash area. Marco Polo's version is complete in every sense of the word. Upgrades were done and you have yourself the perfect hideaway. Aside from the glass window and the newly installed bidet, the toiletries are top notch. Here, you could see that they use Trussardi for your needs. Also, they have the usuals like toothbrushes, cotton buds, and even bath salt just in case you like to exfoliate in the tub. Aside from the sofa, the bed is the best place to be at. Marco Polo's bed is all but ready for you. There are master switches and sockets on the side for your needs. Turn down service would prepare your place of sleep. The staff would put a mat on the floor just so that you won't be bare footed when you get out of bed. 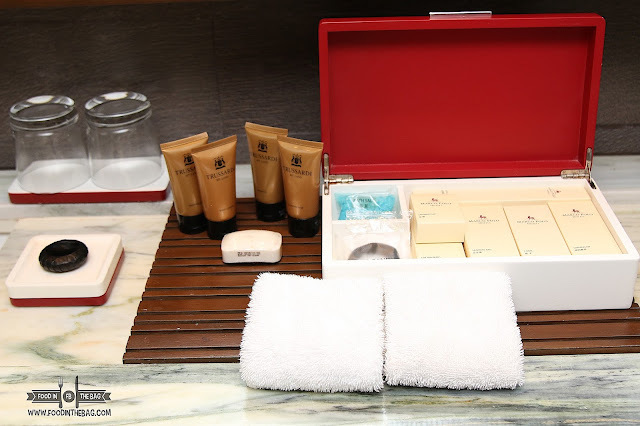 During turn down service, they replenish some of the toiletries and water bottles and even tidy up a bit. But, I am getting ahead of myself. 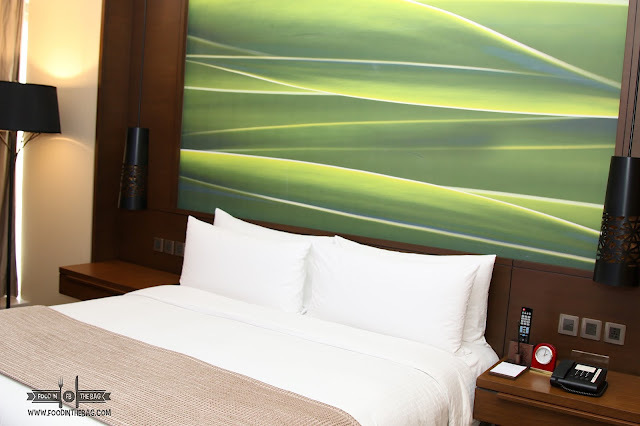 You see, Marco Polo Manila is the hotel to stay at when you want to indulge and have a great time enjoying your food. They have a wide range of choices and different outlets that you could choose from. The Connect Lounge, located on the same floor as the lobby, has this Afternoon Tea. 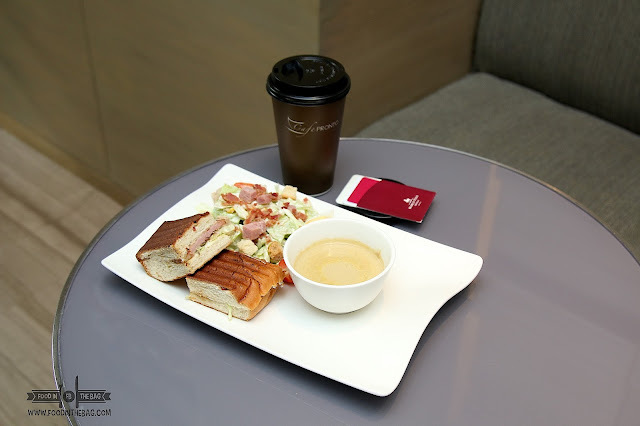 From 2pm to 6pm, guests could indulge and enjoy this quick snack for 788Php. It's actually good for two persons. If you want to have an amazing view, you should head on over to VU BAR by 5pm. 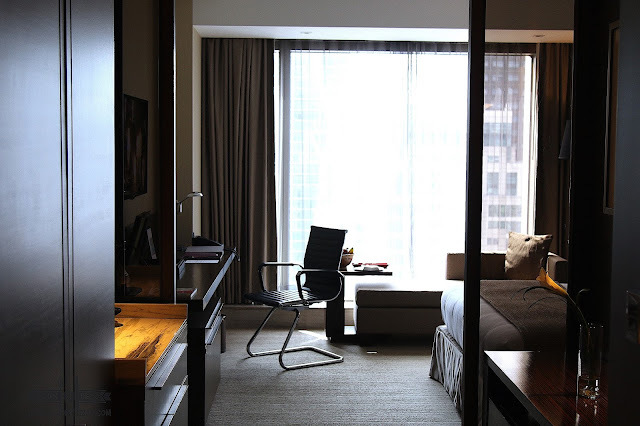 Situated on the 45th floor, this place serves as the nook to be at to unwind and chill. 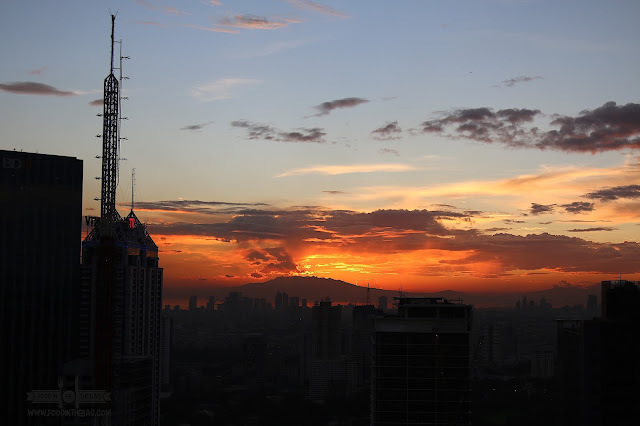 On the Ortigas side, you have a view of the sunset. The Antipolo side, on the other hand, shows the crawling traffic to and from the city. From 5pm to 8pm, patrons could partake of the APERITIVO. It's like a pre-dinner drink and snack. Here, you could have unlimited servings of local beer and house wine. From Monday-Wednesday, the food is ala carte, while Thursday-Saturday night, it is served buffet style. For a taste of Chinese Cuisine, one could head on over to LUNG HIN. The in-house Chinese restaurant, Lung Hin has been racking up awards left and right. 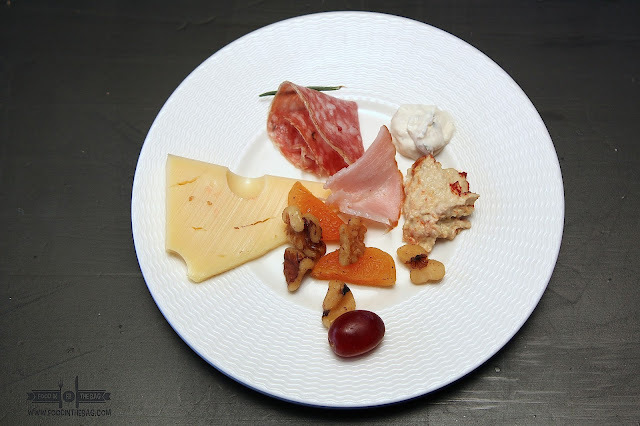 Dishes are well thought off and are great to be shared among family and friends. The serving sizes are huge and proportional to the prices. The quality of the ingredients is remarkable. Take note though that they don't allow takeaways so it would be best to order only as much as you could eat. If I were to be asked, the hakaw or shrimp dumpling and the sweet and sour pork are must orders when visiting LUNG HIN. 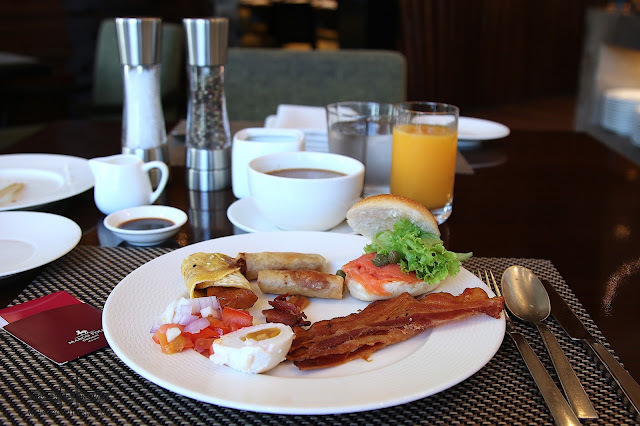 After a delightful sleep, one could head on over to CUCINA for the breakfast buffet. I got to admit, I was pleasantly surprise to see that it's more than just a buffet for breakfast. It's something that you could go to for your lunch and dinner as well. Aside from the usual Filipino dishes, healthy and well thought of international fares are present. 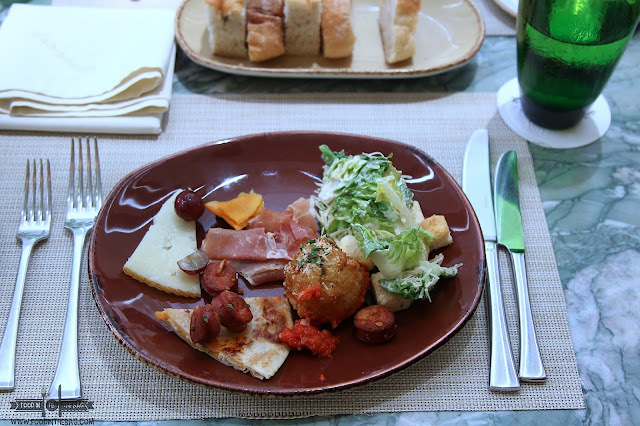 If the buffet is a bit too much for you, you could head on over to CAFE PRONTO. Located on the ground floor, this is the best place to have something if you're on the go. They offer sandwich meals and even freshly baked breads. They have a number of pastries and different hot and cold drinks as well. If you want a relaxing stay and with all the perks, I would suggest investing in club access. 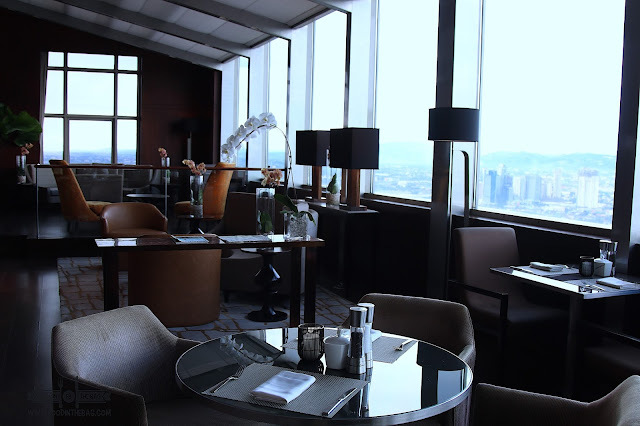 The Club Lounge is located on the 44th floor, same as Lung Hin. Here, you are able to partake of afternoon tea, early dinner cocktails, and even breakfast. All day coffee and drinks are also served upon your request. 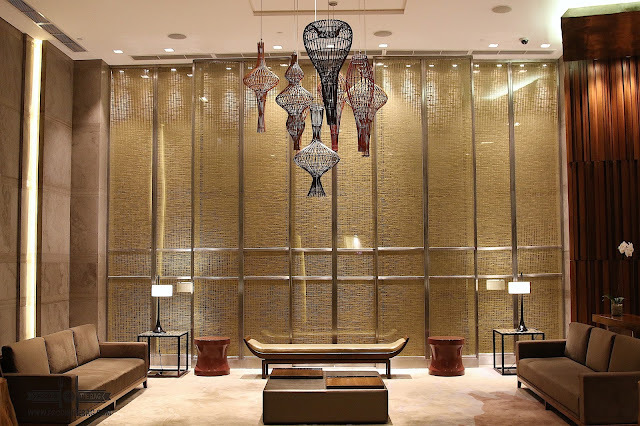 Every time I would stay at Marco Polo, I would always ask if it's possible to upgrade to a club room or even just for access to the lounge. You see, this lounge also offers a 180 degree view of the Antipolo side. It's spectacular. 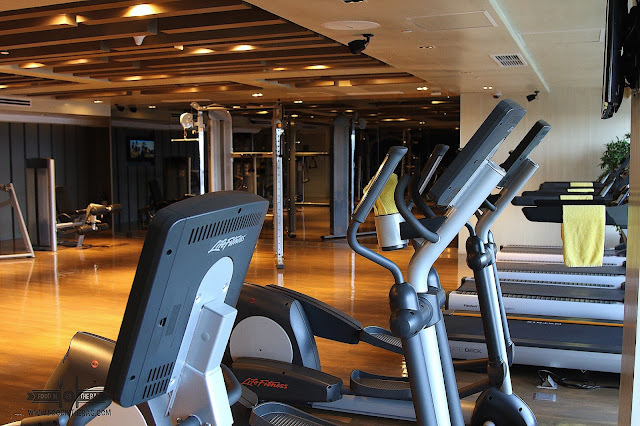 The 22nd floor holds the bulk of amenities that one could enjoy. Here, you have the FLOW SPA, FLOW FITNESS CENTRE and the POOL. 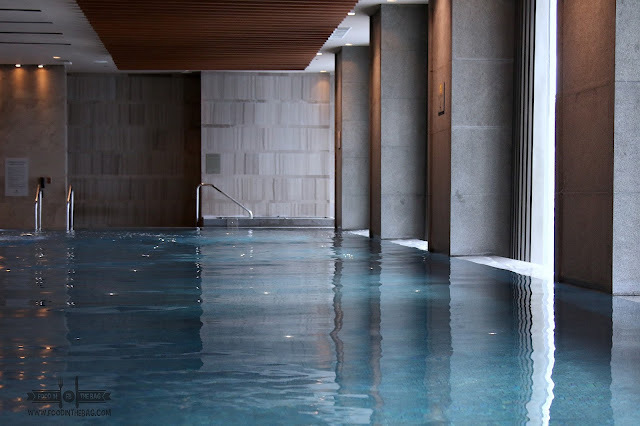 The FLOW SPA is open from 9am to 12midnight. 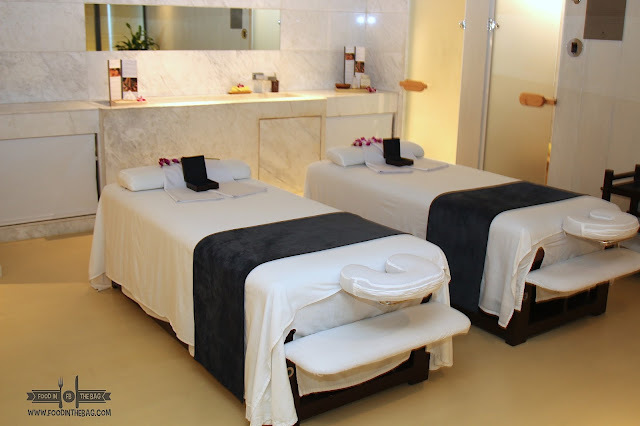 Here, you could have your massages and take a breather. The Pool is there for you to enjoy as well. It's open from 6am to 10pm. The fitness centre is open 24/7. You just need a keycard to access it after 10pm. Honestly, I feel that MARCO POLO MANILA has leveled up. It seems that they fine tuned everything and has anticipated the needs and wants of the guests. I realized that they heavily invested in human resources which made things perfect for them. 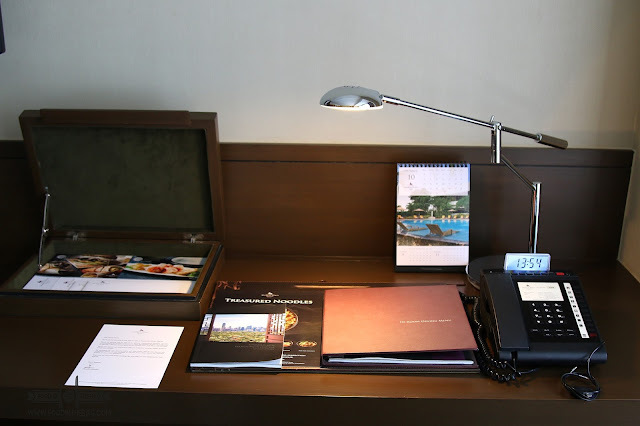 From the house keeping to the front office and also the people behind the scenes, they did a wonderful job improving and making MARCO POLO MANILA the place to be. Disclaimer:Wrote this based on my experience. I was invited as a guest of the hotel. The stay and the dining experience were all complimentary. Thank you very much Judith and the team for having me.